While almost everyone sees crisis in architecture and can't find new ideas and trends, Schumacher claims that a new style has already came. While his architecture is often perceived as a signature iconic buildings, he elaborated new methodology and published several theoretical books, including "Parametricism as Style — Parametricist Manifesto" and two volumes of "The Autopoiesis of Architecture". 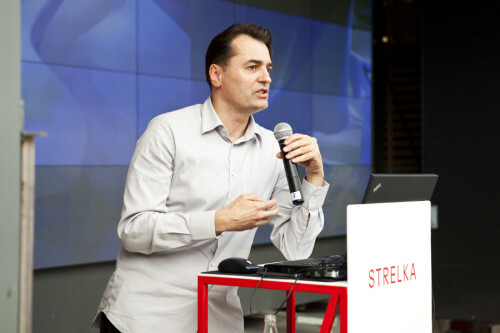 Patrik Schumacher is partner and co-author of many key projects at Zaha Hadid Architects. He studied philosophy, mathematics, and architecture in Bonn, London and Stuttgart and in 1996 he founded the Design Research Laboratory in one of the most prestigious schools — Architectural Association in London. You published Parametricist Manifesto in 2008, after which you made a big effort to promote Parametricism, but at the last Venice Biennale in 2012 you were the only firm proposing a parametric structure. Does this imply a diminishing interest in parametric architecture? Can you see Parametricism becoming a mainstream movement? I think that a pluralism of styles that contradict and disrupt each other can only be an unsatisfactory transitional condition. Yes, I still estimate that the style and methodology of Parametricism will become the mainstream global best practice and the epochal style of our time as far as we can see ahead, i.e. for at least the first half of the 21st century. I think that a pluralism of styles that contradict and disrupt each other can only be an unsatisfactory transitional condition. I also think Parametricism is the style that is best equipped to take up the ecological challenges our civilisation faces. Concerning the Venice Architecture Biennale: It is not representative of the state of the discipline in as much as it is a centrally curated event rather than an open forum of many voices. However, although we made progress in the last 5 years I have to admit that the progress of the parametric movement has slowed down somewhat after 2008. This is primarily due to the great recession of 2008⁄2009 and the economic stagnation that has plagued the most advanced economies of the world. This has not only slowed down construction – most of our European projects have been canceled – but it also had the effect of changing the forward-​looking, design-​oriented outlook of many schools of architecture. Debates about the socioeconomic and political presuppositions of urban and architectural development took over and displaced investment into the further upgrading of design sophistication. This is perfectly understandable. But I am convinced that the values and the methodology of Parametricism remain pertinent with respect to the challenges and opportunities of our time. You say that the main sociological function of architecture is to frame communicative interactions, and also in the above mentioned conversation that “we need more and more face to face communication”. Some architects have the same aim but don’t use the parametric approach. In my opinion, one of the most radically different approaches from ZHA is the approach of the organisation Architecture For Humanity . They construct extremely low-​cost buildings to create community, so in fact their buildings trigger communicative interactions. What is better in parametric design? What is better for the users in a parametric building? Which approach will be more relevant in the future? Architecture For Humanity is a very worthy charity that is trying to improve the built environments of poor communities. As such it is concerned with the provision of basic spaces, amenities and services which most of us have long since been able take for granted. Thus their focus is not so much on innovation but on allowing poor communities to catch up with given standards. How can architecture, urbanism and interior design facilitate further productivity gains in high productivity/​high creativity arenas? Although this work is important it cannot replace the work that we are trying to do, namely the work of advancing the ambitions, values, design intelligence and methodologies of the discipline and thus to equip the discipline’s ability to make its innovative contribution to the further progress of world civilisation. To do this it is important to find ways to further enhance the high performance environments of the most advanced arenas of world civilisation. For instance, this is how I posed the design research agenda for my design studio at Harvard’s Graduate School of Design: How can architecture, urbanism and interior design facilitate further productivity gains in high productivity/​high creativity arenas like Google Campus within Silicon Valley. What kind of data, expertise, design repertoires and methodologies are required to effectively engage with such arenas? Now, more than ever, the critical issue for an ambitious architecture wanting to contribute to the next stage of our civilization is how a designed territory operates as sophisticated framing communication that gathers and orders relevant (socialised) participants for specific communicative interactions. The life process of society is a communication process structured by an ever more complex and richly diversified matrix of institutions and communicative situations. A Post-​Fordist network society demands that we continuously browse and scan as much of the social world as possible, in order to remain continuously connected and informed. We must continuously recalibrate what we are doing in line with what everybody else is doing. We must be networked all the time, so as to continuously ascertain the relevancy of our own efforts. Telecommunication only via mobile devices may help, but it does not suffice. Rapid and effective face-​to-​face communication remains a crucial component of our daily productivity. The whole built environment must become an interface of multi-​modal communication, as the ability to navigate dense and complex urban environments has become a crucial aspect of today’s overall productivity. Therefore, our ambition as architects and urban designers must be to spatially unfold more simultaneous choices of communicative situations in dense, perceptually palpable, and legible arrangements. The visual field must be dense with offerings and information about what lies behind the immediate field of vision. You ask what a parametric building delivers to its users: a daily satisfying, productive experience of awareness of and participation with many events dense with encounters, and with many occasions for deeper engagement in relevant communicative interactions. There is no need to decide between ZHA and Architecture For Humanity. We are complementing each other rather than competing. 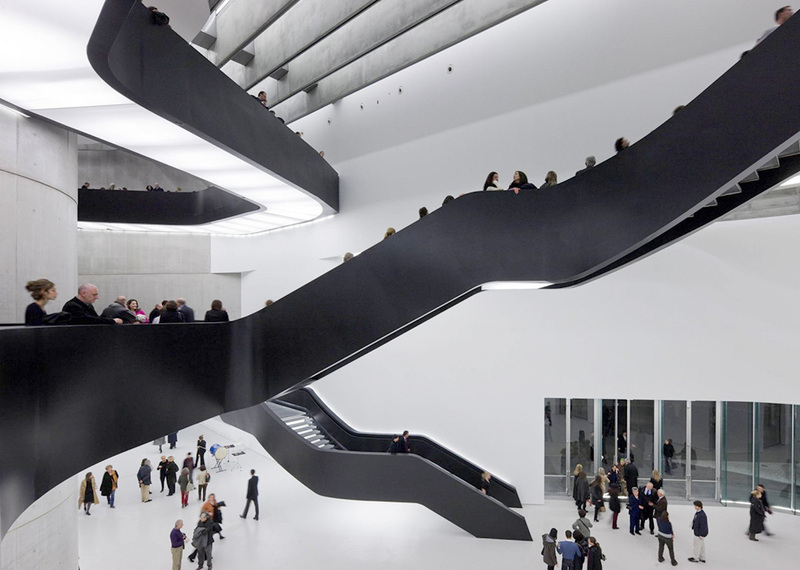 ZHA (Parametricism) is competing with Chipperfield (Minimalism) or Foster (Late Modernism). I think we could have done more for Apple (and thus for the world) than Foster. Productivity gains and technological progress are the key to prosperity, freedom, and charity. For example, mobile phones empower the poorest communities around the world. In 30 years Architecture for Humanity will disseminate the results of parametric (rather than modern) design to these communities. In your conversation with Peter Eisenman you mentioned that you are “taking agent-​based crowd modeling as … meaning layer and programme agents to be responsive to designed environmental”. 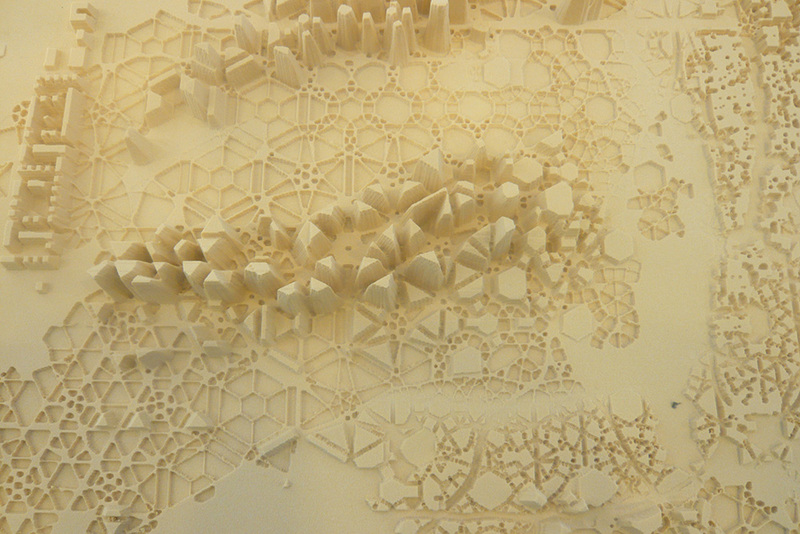 Do you use the same algorithms for European and Asian cities, where you designed masterplans? Is it possible that the mechanisms, which define agent-​based modeling, will change in future? Architecture’s meaning layer is its programme of functions/​uses, best understood in terms of social interaction patterns. These patterns of communicative interaction can be modeled via scripted agents that respond to each other in relation to coded environmental clues. This implies that the meaning of architecture can enter the digital model (design medium) and thus becomes the object of cumulative design elaboration. The system of signification works if the agents consistently respond to the relevant positional and morphological clues so that behaviours to be expected can be read off the environmental configuration. As agents cross significant thresholds their behavioural rules are modulated. Territorial distinctions thus order and coordinate interaction patterns. This technique of operationalising an architectural semiology is indeed open to take account of cultural variations. Asian agents might be scripted to behave different from European agents, if you like. However, my main point is that agents’ rules of behaviour vary situationally, i.e. the architectural design distributes and coordinates different behavioural rules and thus facilitates different desired social situations in the different places it distinguishes. This also includes the possibility of simulating encounters between differently scripted agents, as well as the possibility that agents’ behaviours evolve or learn as they accumulate experiences with a built environment. You founded the AA DLR in 1996, now it has 120 to 140 students every year. What are your former students doing now? How are they changing urban spaces now and how will they change spaces in future? Many of them have worked or are still working at Zaha Hadid Architects, applying the fruits of their academic research projects to projects around the world. Many of them continue their research as teachers while working for ZHA or elsewhere. In 2007 we celebrated 10 years of AADRL with an exhibition showing what our students had been involved with since. The exhibition included many of the major iconic projects of this era: all our major projects, OMA’s projects, projects by Ito, Herzog & De Meuron’s bird’s nest etc. Many others went back to their country of origin to establish their own firms there and/​or to teach and research there. Most found ways to continue and apply parametricism and thus are contributing to its dissemination. As I understand it, practices like OMA, Herzog & de Meuron don’t use algorithms to create form but only for digital fabrication. Do you mean that it is also Parametricism? Do you think it’s possible to create spaces full of encounters and interactions without Parametric methodology? 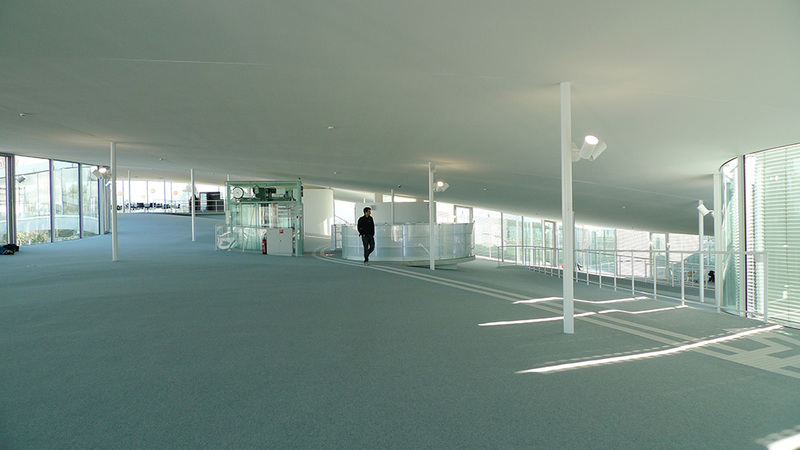 For example, SANAA’s Rolex Learning Center or Ishigami’s KAIT workshop: these are very different but provide continuous space without strictly defined rooms, very open for interactions. I would count some of OMA’s works – e.g. 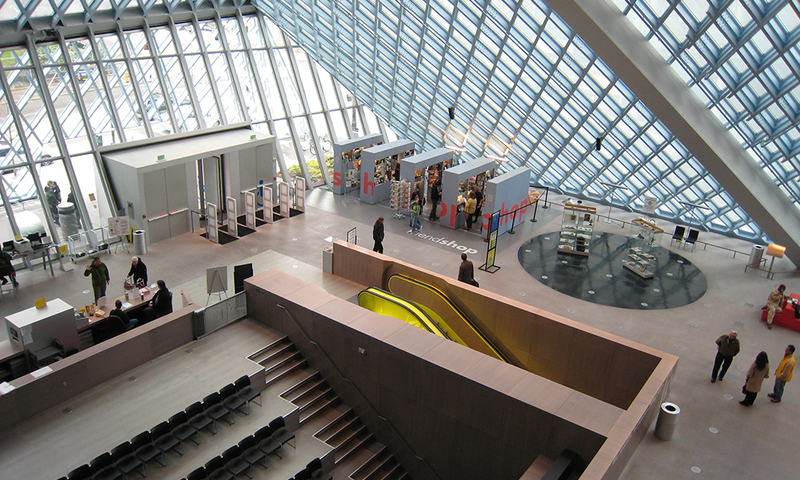 Seattle library or competition projects like the libraries – as belonging to parametricism. The same goes for the recent work of Herzog & De Meuron, for example their Elbphilharmonie in Hamburg. SANAA’s Rolex Learning Centre belongs here too. I would count some of OMA’s works – e.g. Seattle Library or competition projects like the libraries – as belonging to parametricism. The same goes for the recent work of Herzog & De Meuron, for example their Elbphilharmonie in Hamburg. SANAA’s Rolex Learning Centre belongs here too. Parametricism should be defined as a style with programmatic and aesthetic values rather than as a neutral computational technique. But you are correct: Parametricism is not the only way to create communicative spaces. However, it is the most fertile way to achieve more connectivity with more diversity and complexity without disintegrating into visual chaos, i.e. maintaining legibility in the face of complexity. Fluid space requires a lot of inbuilt technological elements, while one of the main characteristics of the modern world is continuous change. Does built parametric architecture have the ability to be changed in line with shifts in social organisation and technological development? Your question about the flexibility of complex designs is being posed all the time. To some extent it seems as if we have to reckon with a trade-​off between flexibility and complexity. However, we should not assume that the complexity and differentiation that parametricism delivers is only delivered to cater for a preconceived specific purpose. Differentiation is rather the new default condition: In today’s market/​society it makes sense to offer an urban master-​plan (e.g. for a business district) with a gradient delivering 100 different blocks rather than a modernist grid delivering 100 identical blocks. This is in no way decreasing flexibility. It rather allows for a market in which the diverse social needs can self-​sort into an offering of choice. The architect might have anticipated a certain range of firm sizes in setting up his differentiated urban field, or the differentiation was indeed gratuitous, simply the contemporary default option. The repetition of a supposed “optimal” design is rather risky. Let us discuss another case: a complex urban intervention has initially been designed as a conference centre with multiple affiliations and connections to surrounding and adjacent urban spaces and facilities like hotels, offices, restaurants, shops etc. The complexity of a parametricist design is primarily motivated by the differentiation of the spatial offerings (aiming for an ordered diversity) and the desire to increase relationships and connections both between the different spaces within the project as well as between the new spaces and the context. This quality of intense connectedness remains valid for most contemporary urban institutions. It does not impair the possibility to re-​use the spatial system for a new institution, e.g. an art centre. Again, although parametricism does not deliver neutral, monotonous, generic space that can be anything, it is not locked into a hyper-​specific user. The complex spatial organisation offered may be re-​inscribed and reinterpreted in many ways by many different life processes. Each life process will be stimulated by the richness of the spatial offerings and will utilise it in its own way or select from the over-​abundance of internal and external connections. Although we are trying to tailor our projects to specific client requirements – and we have a more versatile and nuanced repertoire to do so than any other style – the spatial complexity and richness we produce often goes beyond what is being explicitly specified in the brief, so that we also always reckon with social self-​organisation and appropriation processes that make sense of this complexity. Computer technologies and coding skills are becoming more popular and accessible. They provide not only the opportunity to create complex forms, but also help to include all the benefits of customisation in architecture. Is it possible that some day computational architecture will the replace vernacular one? If yes, how and when will this process happen? Yes, I think that parametric design will replace the other current mainstream styles like modernism (late modernism, minimalism, pragmatic modernism), post-​modernism, historicism etc. The vernacular, i.e. tradition-​bound building without the involvement of educated architects, will also gradually recede as global society further develops. 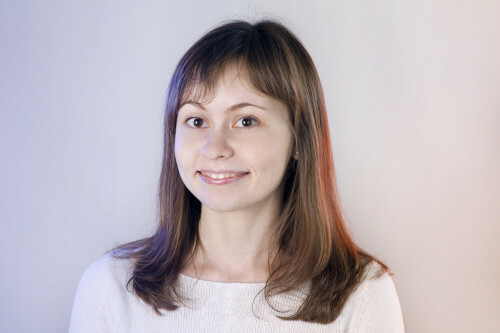 The fact that computer technologies and coding skills are becoming more popular and accessible is an important factor in parametricism’s dissemination. However, what is much more important and decisive are the compelling advantages of parametric architecture, as indicated above: versatility, internal communicative intensity, adaptive context sensitivity, etc. What will also become more and more apparent is the ultimate economic efficiency of our methodologies. The fine-​grained nuanced adaptive capacity of our design methodology allows us to translate the sophisticated contemporary engineering logics in structural and environmental design into structurally and environmentally optimised morphologies. This will lead to material and energy savings that ultimately outweigh the increased manufacturing costs of our more complex solutions. These extra costs still prevail due to the fact the construction industry has not yet equipped itself with the latest tools and processes. As investment in the new technologies proceeds and the respective processes are being generalised, the economic superiority of parametricism will become a further compelling motive force for its dissemination. Material and energy costs will be substituted by more intelligence and information processing. In fact parameticism can meet the ecological challenge that our civilisation faces much better than any other style we know.